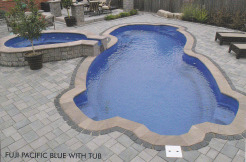 Saltwater pools have been favoured in the past, and they do have some unique maintenance needs when compared to traditional chlorine pools. Despite their popularity there is still some information that has not reached all Canadian salt pool owners. The process a cell uses to convert saltwater into chlorine contributes to higher water pH every time a cell runs. A pH reducer corrects high pH to protect surfaces and equipment and maintain bather comfort. Granular pH reducers are preferred for ease of handling and safer storage than liquid acids. The environment within a cell can cause chalky white calcium-scale deposits to form on a cell’s wall over time, decreasing the chlorine output and efficiency. Use of scale prevention products will defend against damaging scale for efficient, long lasting cell performance. Chlorine is effective at killing bacteria and algae, but creates unpleasant by-products when it reacts with contaminants like sweat or sunscreen. A shock treatment eliminates contaminants for clear, fresh water. Shocking during the swimming season ensures water quality and reduces stress on chlorine generator. Chlorine or non-chlorine shocks can be used. 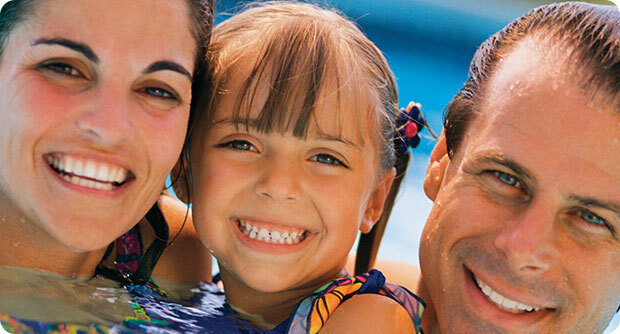 Saltwater pools need water balance levels tested on a regular basis just like traditional chlorine pools. Use test strips to ensure proper water balance for the best swimmer comfort, equipment, protection, and sanitizer efficiency. Spring start-up, monthly checkups and prior to closing tests at Rintoul Pools & Hot Tubs are recommended. The amount of salt in a pool and the amount of chlorine being produced are independent of each other. Adding more salt (above what is recommended in the owner’s manual) does not improve efficiency or increase the generation of chlorine. Test strips or dealer testing will confirm salt levels. Get salt level in the correct range with a high quality pool salt at the start of the season. The process of generating chlorine within the cell will cause scale buildup that reduces efficiency and shortens cell life. Use of a cell cleaner removes built-up scale to restore cell to peak performance. Starting each season with a properly cleaned cell is strongly recommended. Scale occurs when minerals like calcium, iron , medals or sodium salts come out of solution. Use stain prevention chemicals to keep minerals locked in solution. These chemicals are known as ‘sequestering agents’, and they bind to minerals and metals, to keep them from coming out of solution and staining. Nothing is truly maintenance free, but with some basic knowledge and the ongoing support of your professionals at Rintoul’s Pools and Hot Tubs a salt pool can be a backyard pleasure.